Thus the field of activities [the body], knowledge and the knowable have been summarily described by Me. Only My devotees can understand this thoroughly and thus attain to My nature. The Lord has described in summary the body, knowledge and the knowable. This knowledge is of three things: the knower, the knowable and the process of knowing. 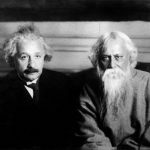 Combined, these are called vijnana, or the science of knowledge. Perfect knowledge can be understood by the unalloyed devotees of the Lord directly. Others are unable to understand. The monists say that at the ultimate stage these three items become one, but the devotees do not accept this. Knowledge and development of knowledge mean understanding oneself in Krishna consciousness. We are being led by material consciousness, but as soon as we transfer all consciousness to Krishna’s activities and realize that Krishna is everything, then we attain real knowledge. In other words, knowledge is nothing but the preliminary stage of understanding devotional service perfectly. In the Fifteenth Chapter this will be very clearly explained. Now, to summarize, one may understand that verses 6 and 7, beginning from maha-bhutani and continuing through cetana dhrtih, analyze the material elements and certain manifestations of the symptoms of life. These combine to form the body, or the field of activities. And verses 8 through 12, from amanitvam through tattva-jnanartha-darshanam, describe the process of knowledge for understanding both types of knower of the field of activities, namely the soul and the Supersoul. Then verses 13 through 18, beginning from anadi mat-param and continuing through hridi sarvasya visthitam, describe the soul and the Supreme Lord, or the Supersoul. Thus three items have been described: the field of activity (the body), the process of understanding, and both the soul and the Supersoul. It is especially described here that only the unalloyed devotees of the Lord can understand these three items clearly. 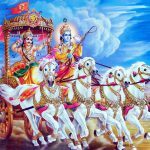 So for these devotees Bhagavad-gita is fully useful; it is they who can attain the supreme goal, the nature of the Supreme Lord, Krishna. In other words, only devotees, and not others, can understand Bhagavad-gita and derive the desired result. In this verse the Lord summarizes the topic about the field and other items previously described along with the result for those who practice. The field consists of the items starting with the five gross elements and ending with dhrti, perseverance in verses 5 and 6. Knowledge was described starting with pridelessness (amanitvam) and ending with reviewing the goal of liberation (tattvajnartha darsanam) in verses 7 through 11. The object of knowledge to be attained by the process of knowledge was described in verses 12 through 18 starting with the word anadi and ending with the word dhistam. The one truth known as brahman, bhagavan and paramatma has thus been briefly described. Thus the reality concerning the ksetra or field of activity and the ksetra- jna the knower of the field of activity has been explained in conjunction with the rewards of this knowledge and description of one qualified by this knowledge. 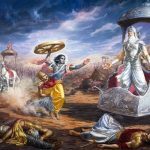 What has been previously taught in detail by great sages like Vasistha and Parasara concerning the ksetra or field of activity was given in brief by Lord Krishna beginning in verses 6 and 7 with the maha-bhutany or the five fundamental elements. Continuing in verses 8 to 12 beginning with amanitvam or humility and ending with tattva-jnana-artha-darsanam or the goal of spiritual knowledge. Concluding in verses 13 to 17 of an explanation of Parabrahma and the examination of His nature. All these things have been precisely enumerated in a concise manner. Knowing well these things and practicing them incessantly a devotee of Lord Krishna as described in chapter 12 becomes qualified and worthy to attain His eternal association in this very life. 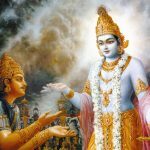 In verses 8 to 12 Lord Krishna has given the means of knowledge by imbibing the 20 super excellent spiritual endowments beginning with amanitvam or reverence and adamvitam or humility even before explaining the modifications of the ksetra or field of activity. This is because they hold the primary position and the many modifications of the ksetra hold a secondary position. Here Lord Krishna is not at all implying any merger or absorption into His nature by a qualified aspirant. The words mad- bhavayopapadyate means qualification for the Supreme Lords service. When a jiva or embodied being becomes a devotee of the Supreme Lord one becomes qualified to attain bhakti or exclusive loving devotional service unto Lord Krishna and subsequently when one achieves moksa or liberation from material existence at that time one attains the Supreme Lords association in the spiritual worlds. Lord Krishna is pointing out that His devotees are particularly qualified and reveals what they achieve by being devoted to Him. Beginning with the words iti ksetram tatha jnanam meaning knowledge of the field of activity He is referring to the ksetra of five fundamental elements, the senses, ego and mind, etc. described in verses 6 and 7. The words tatha jnanam refers to the 20 super excellent spiritual endowments given in verses 8 to 12 beginning amanitvam or reverence where concluding this theme He confirms that factual knowledge of atma tattva or soul realisation and the ksetra- jna or knower of the field of activity is actual knowledge and all knowledge that does not facilitate this realisation is nescience. From their to verse 18 is described in a nutshell how imbibing the 20 spiritual endowments lead to this realisation and concludes by revealing that He resides in the etheric heart of all living beings and that invariably it is His devotees by virtue of their possessing these spiritual endowments that are able to attain Him. This is denoted by the word vijnaya or knowing. Knowing the true nature of the ksetra or field of activity by virtue of the 20 spiritual endowments is the means to realise the ksetra-jna or the knower of the field of activity which is the atma the immortal soul and transcends samsara the perpetual cycle of birth and death. 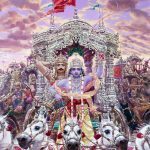 The conclusion is that Lord Krishna’s devotees knowing the true nature of spiritual eternity and what is the ultimate reality qualify themselves faithfully and enthusiastically in His exclusive loving devotion. iti — �� thus; kṣetram — the ﬁeld of activities (the body); tathā — also; jñānam — knowledge; jñeyam — the knowable; ca — also; uktam — described; samāsataḥ — in summary; mat-bhaktaḥ — My devotee; etat — all this; vijñāya — after understanding; mat-bhāvāya — to My nature; upapadyate — attains.